We’re in the final weeks of rehearsals for our next production The Here and This and Now by Glenn Waldron which is directed by our own Artistic Director, Simon Stokes. We took this opportunity to talk to Simon about this production as well as how and why we produce new plays. 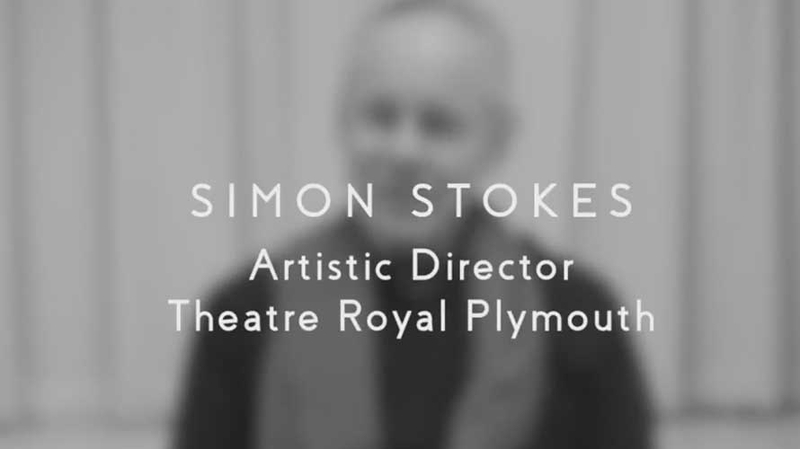 Simon Stokes is the Artistic Director at the Theatre Royal Plymouth. He was Artistic Director at the Bush Theatre through the 1970s and 1980s and alongside a freelance career, he was Associate Director and Director of Development for the Turnstyle Group in London’s West End. He has directed abroad in Germany, Switzerland, Israel and the USA. His most high-profile work has included Emmanuel Darley’s Tuesdays at Tesco’s with Simon Callow (Assembly Productions); When I Was a Girl I Used to Scream and Shout by Sharman Macdonald, with Julie Walters, Geraldine James and Dawn French (Bush and West End); A Slip of the Tongue by Dusty Hughes, with John Malkovich and Ingeborga Dapkunaite (Steppenwolf Theatre Chicago and West End), and more recently Theatre Royal Plymouth’s production of Monster Raving Loony by James Graham. You can find out more about Theatre Royal Plymouth’s produced work here.